Violinist Ann Lam has performed in major concert venues across the country, including Carnegie Hall, Lincoln Center, and the Millennium Stage at the Kennedy Center. Most recently, Ann served as Principal Second Violin of Camerata Notturna, one of New York City’s premiere chamber orchestras, performing with Gil Kalish, Colin Carr, and Jessica Lee. Dedicated to music education, Ann has over a decade’s worth of experience in outreach work as a solo, chamber, and orchestral musician. In classrooms across the globe, she strives to joyfully impart music fundamentals while fostering a curiosity for lifelong learning. Ann teaches violin to students of all ages and levels, with a special emphasis on body and breath awareness. 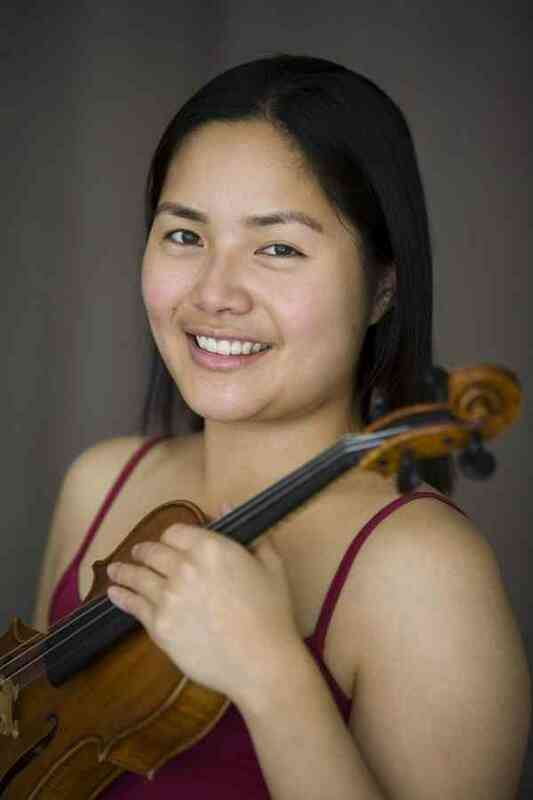 She received her Master of Music degree in violin performance from the State University of New York at Purchase, where she also served on faculty teaching and assisting undergraduate courses in music appreciation and music history. Ann’s experience as a performer and educator is backed by her years in the music industry. She worked at Carnegie Hall as coordinator for Family Programs and Neighborhood Concert Series. Ann helped produce major concerts in both the Stern/Perelman and Zankel halls, featuring the New Jersey Symphony Orchestra, the Orchestra of St. Luke’s, and artists including Jamie Bernstein, Sweet Honey In the Rock, and Chris Washburne and the SYOTOS Band. Through the Neighborhood Concert Series, an initiative to bring world-class music to all five boroughs of New York city at no cost to audiences, Ann helped coordinate concerts at venues including Summer Stage in Central Park, Celebrate Brooklyn in Prospect Park, Ethical Cultural Society, El Museo del Barrio, as well as in community colleges, libraries, Police Academy Leagues, and various community centers. Ann served as the lead editor for all the music education curriculum designed at Carnegie Hall from 2007 to 2009, including the internationally used LinkUP! textbooks and recordings for elementary schools and the Global Encounters workbooks for high school social studies classes.